Wine themed favors are surely the rage and these wine stoppers will add a memory-filled moment to each bottle your guests uncork. Modern and practical, these sturdy stoppers feature a perky molded chrome heart shape on top of a chrome base wrapped with a thin black liner for a snug fit. 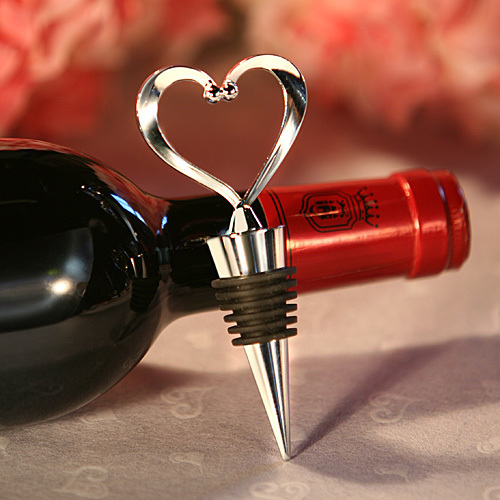 Each heart wine stopper favor measures 4.5" x 1.75" and comes individually packaged in a white box.